SOLD! 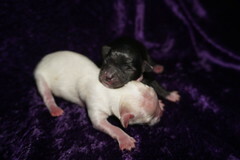 Pipi Gorgeous Black Female CKC Havapoo Says I’m The One For You! Say HELLO to this little lady is Pipi. She is truly a little sweetheart with a gorgeous face that says I love you. Her fur is also soft, shiny, and you’ll love petting it all day. Not only does she have looks, but she has a personality like no other. She loves to play and cuddle. You can always count on Pipi to be by your side. Pipi is just a little princess and she is all ready to go! Call about making this little baby yours today! SOLD: CONGRATULATIONS CHMIELEWSKI FAMILY WITH 2 SISTERS FROM THIS LITTER! Pipi is one of four female in this litter of four and she is so sweet! Mom is Pippi so we thought we would have fun with the litter names and something different ending in the ipi sound after all you will rename them. Pipi is a gorgeous Black color female with a pinch of white on her chin but since she has a dark gray nose she may turn the blue color which is a gorgeous dark gray color. Don’t forget her adorable docked tail. Her soft hair will entice you to run your fingers through it. 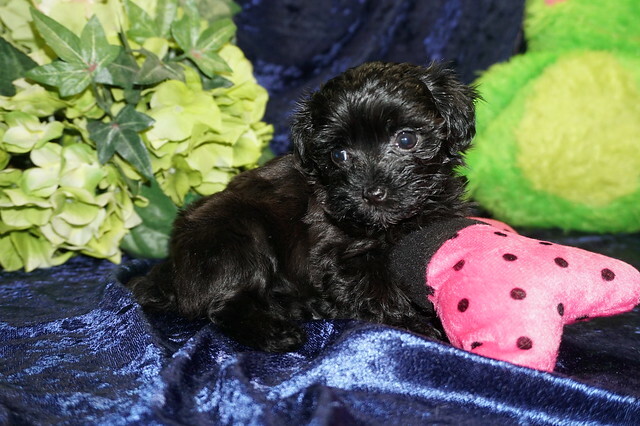 Mommy is a 8 lb Havanese and dad is a 6.8 lb Poodle making her a first generation Havapoo also known as a Poovanese. She is toy size Havapoo so estimated adult weight is 7-8 lbs unlike regular Havanese that weigh 18-22 lbs she is ready to steal your heart! 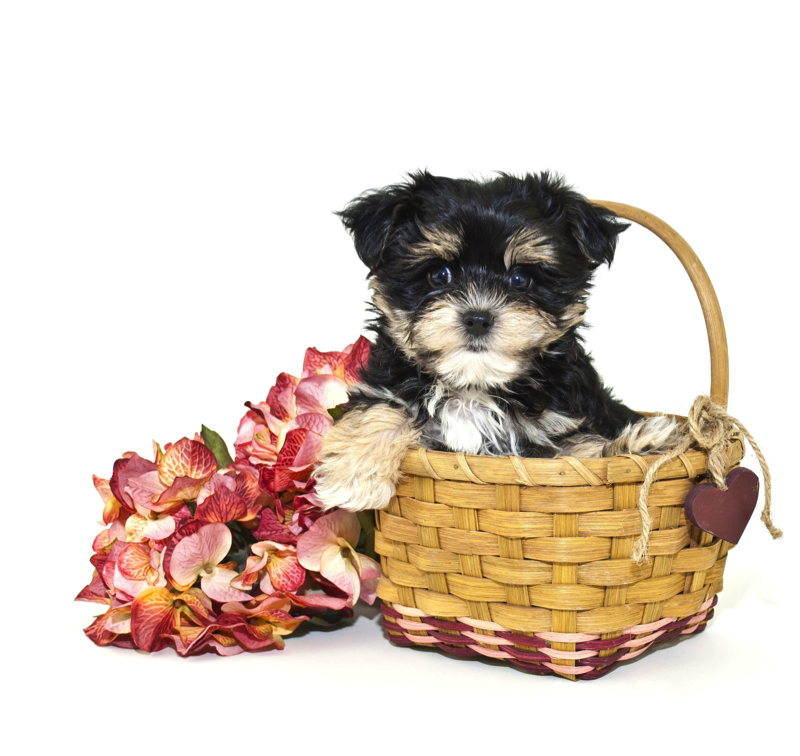 Paying Paypal as family and friends to pay my account is my email: tlcpuppylove2gmail.com memo put Havapoo Female puppy Pipi.